This afternoon, I was trying to figure out how I could use the overripe bananas that I had sitting on my counter. Sure, I could have made banana bread or muffins, but I was looking to be a little more creative. A little more experimental. Sometimes that works out well for me, and other times not so much. I will spare you the details of my latest Salmon burger debacle. 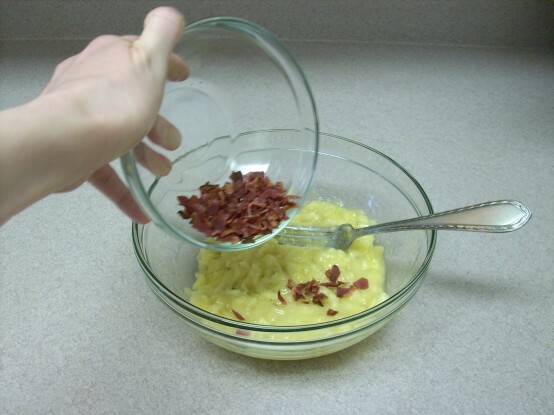 I had some turkey bacon in the freezer, so I decided to do a quick search online to see what kind of recipes there were that paired those two items together. 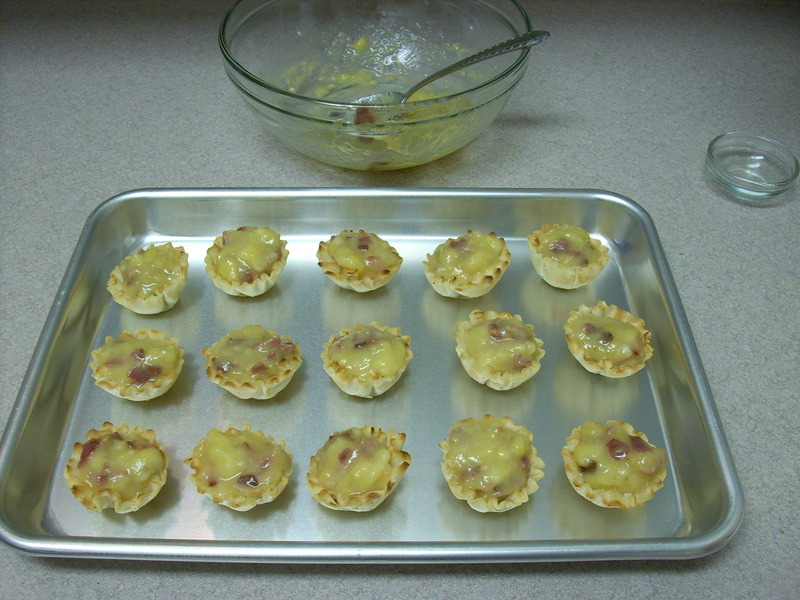 The recipe I found for bacon wrapped bananas is what helped give me the idea for these Spicy Banana Bacon Phyllo Cups. Sriracha sauce might sound like an odd thing to pair with bananas and bacon, but it’s supposed to be good on everything right? Not only was it good, but I think that it is an essential ingredient. What you will need to make these babies. 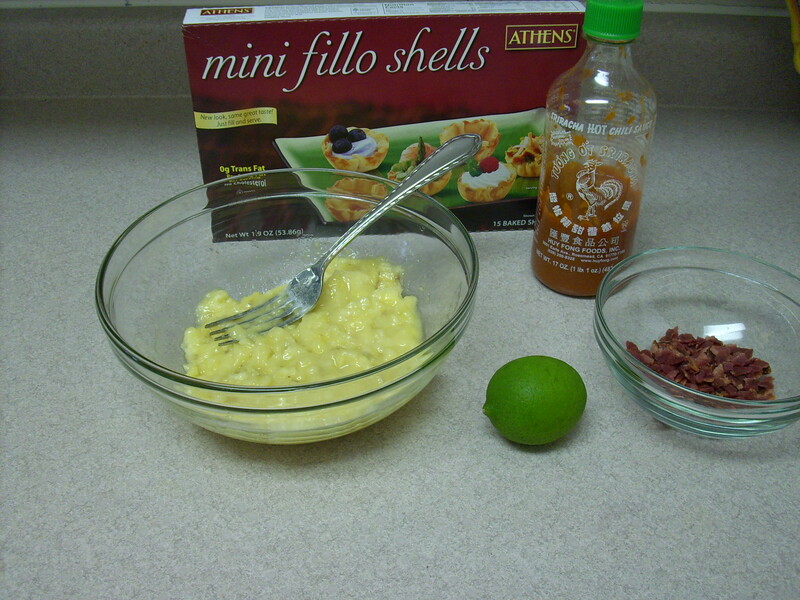 2 medium overripe bananas (mashed), 2 slices of cooked & crumbled turkey bacon ( or bacon of your choice), 15-count box of mini phyllo (fillo) shells, 1 teaspoon of lime juice plus zest of 1 small lime, Sriracha sauce. 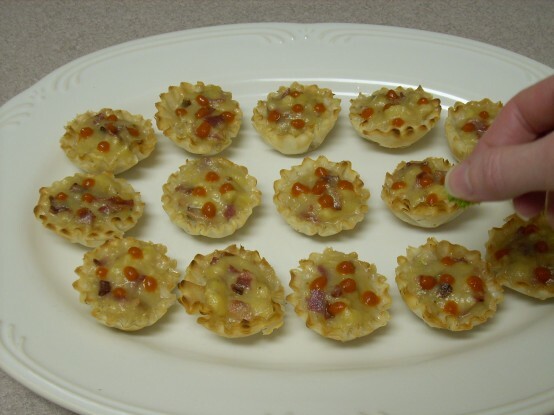 If you are using a box of frozen mini phyllo (fillo) shells, take it out of the freezer ten minutes prior to making these appetizers. 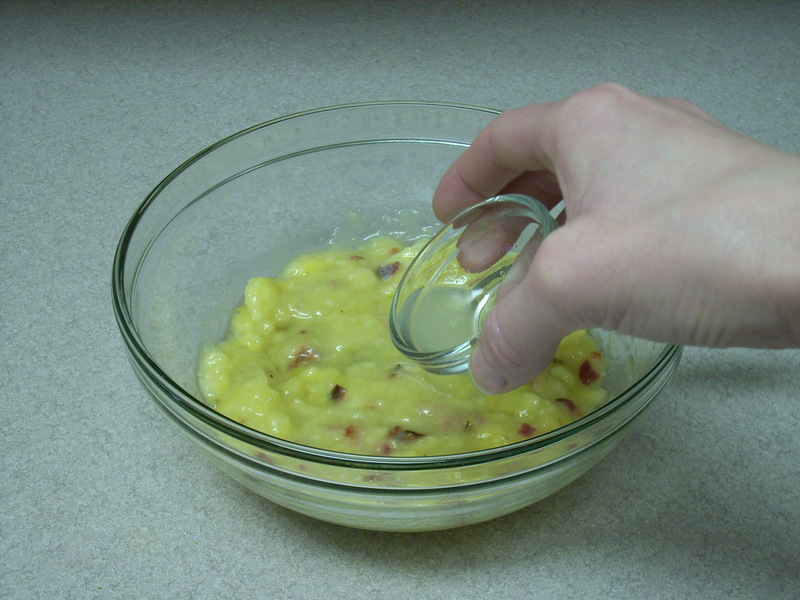 Add the cooked, crumbled bacon to the bowl of mashed bananas. 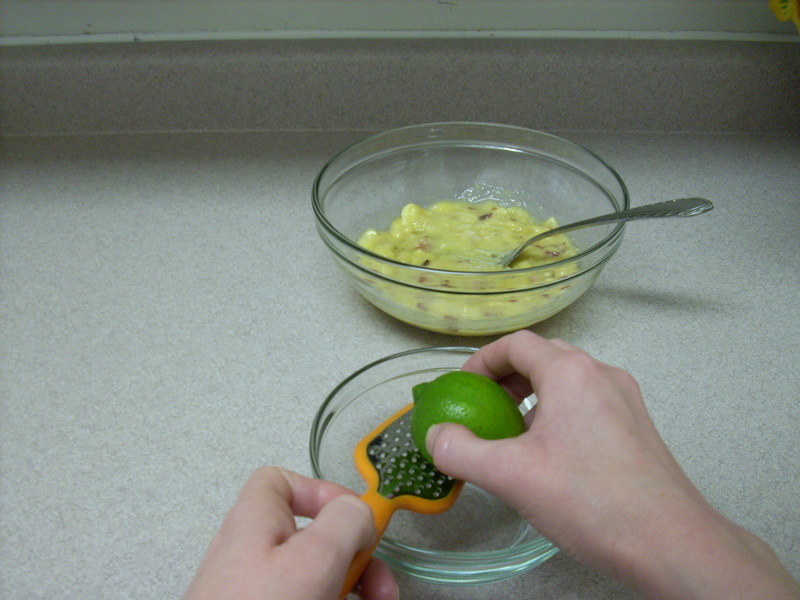 Zest one small lime into a bowl, and set aside. Add one teaspoon of lime juice to the bowl of bananas. Mix together. 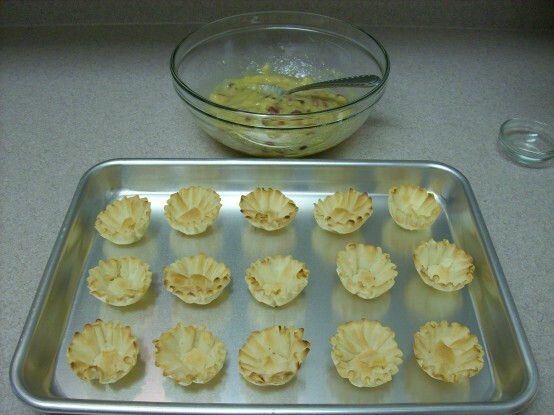 Place the mini phyllo shells onto a baking sheet. 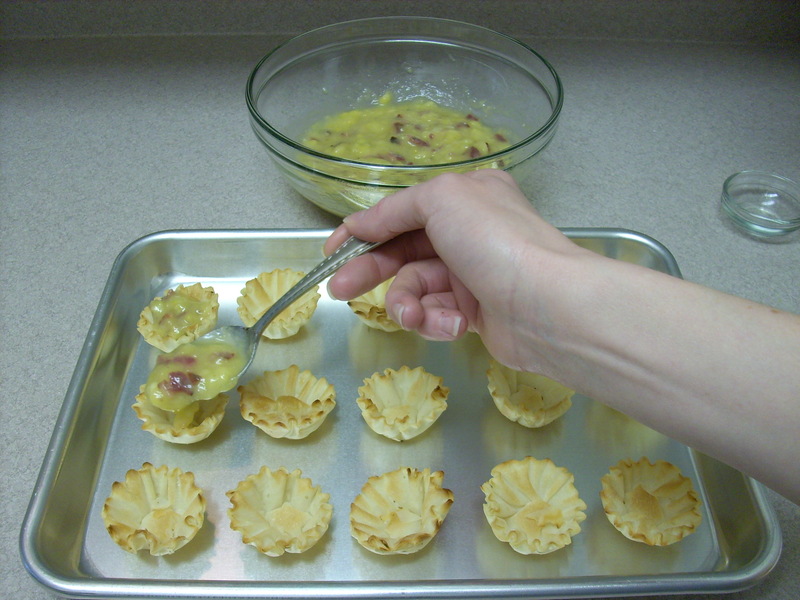 Fill each shell with the banana bacon mixture. Place into your pre-heated oven. Bake for 7-10 minutes (ovens vary). 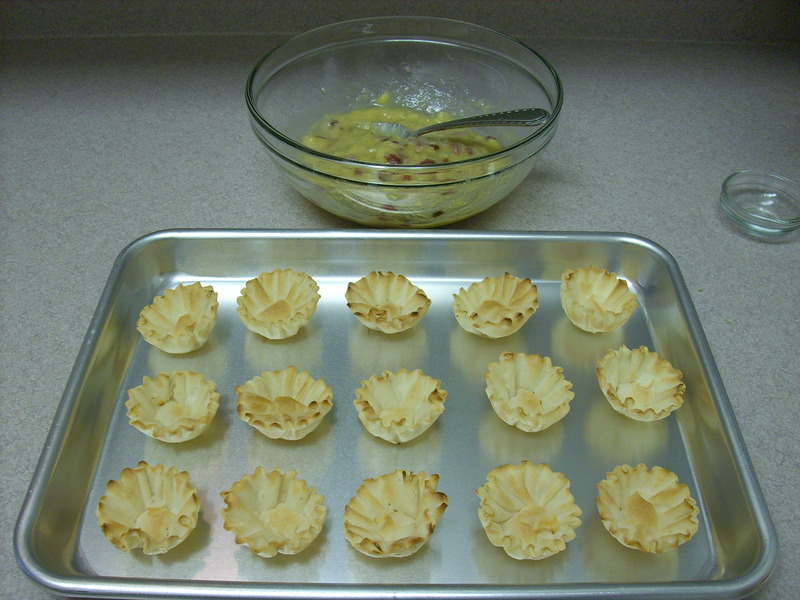 My phyllo cups took 10 minutes – check yours at seven minutes and just keep an eye on them. Remove from the oven, and let cool for about five minutes. 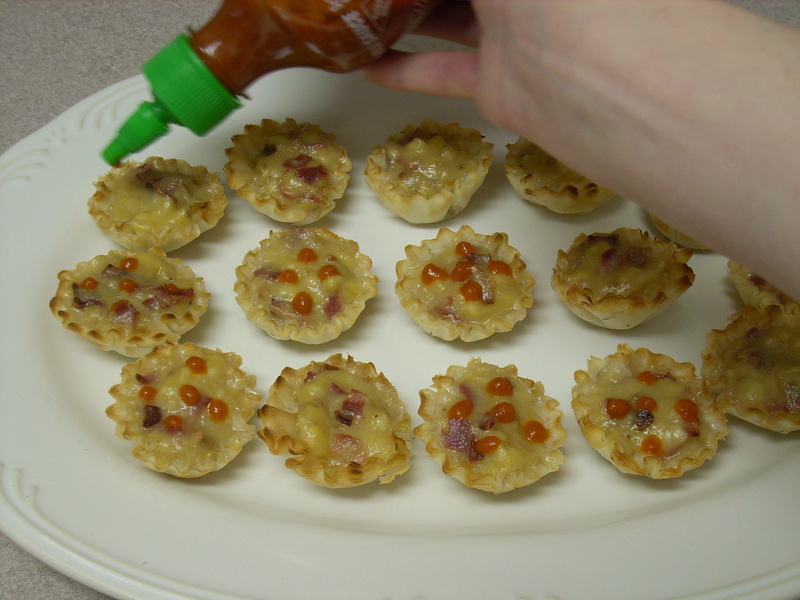 I placed five dots of Sriracha sauce on each one, but you can adjust the amount of that depending on how spicy you like your food. It was just right for me and my husband. 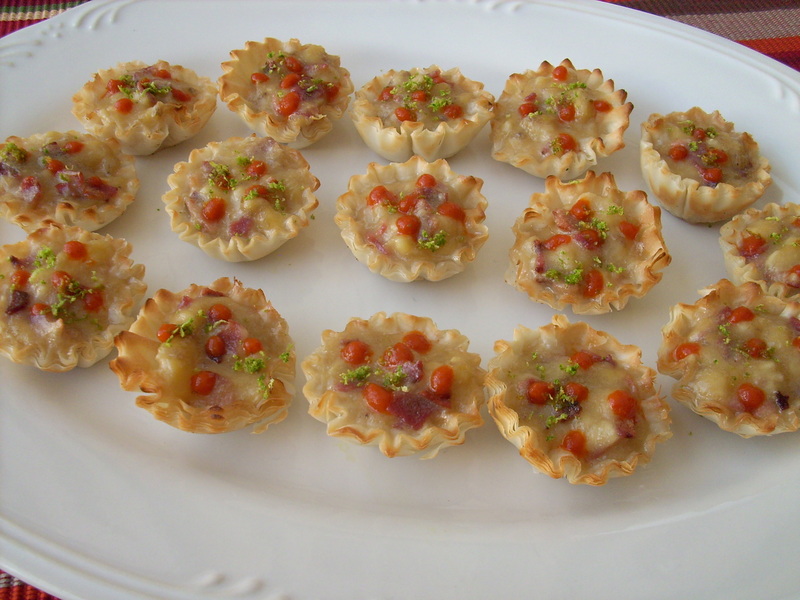 Finish by garnishing each cup with a little lime zest. It adds a little citrusy flavor, but mainly I just think it looks pretty! By Tempie at March 24, 2011 . What an interesting flavour combination. I’m visiting from Saturday Swap and will give this a try. A very interesting recipe and I am looking forward to making this soon.